Werken is the name of the project of the Chilean artist Bernardo Oyarzún who will represent Chile at this year’s Venice Biennial. The project was chosen through a contest organized by the National Council of Culture and Arts of Chile for Latin American curators. In that contest the Paraguayan curator Ticio Escobar won with the project Werken made for Oyarzún. 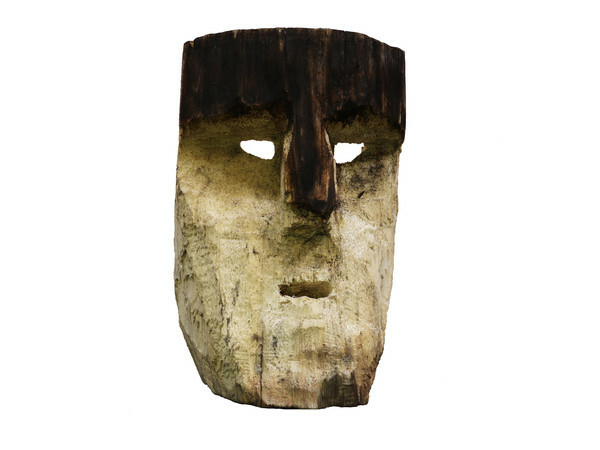 Werken consists of the installation of 1500 Mapuche masks Collón that, located in the center of the room, form a figure with irregular contours that occupies approximately 10 x 11 meters. These are supported by rods of natural iron, while the perimeter walls of the room are surrounded by led signs that will leave the script of 6906 Mapuche surnames, corresponding to the totality of the surnames that currently exist. The initiative was chosen from six finalist projects, as part of the “Contest for the selection of the curatorial project representing the Pavilion of Chile at the 57th Venice Biennale 2017” and in its second version was opened for Latin American curators. The jury was composed of national and international representatives from various sectors of the visual arts: Cuauhtémoc Medina, Ivo Mesquita, Nelly Richard, Gaspar Galaz, Gonzalo Díaz, Mónica Bengoa y Emilio Lamarca.